Because I have two girls and three sisters of my own, our library, of course, holds more than one book about sisters. 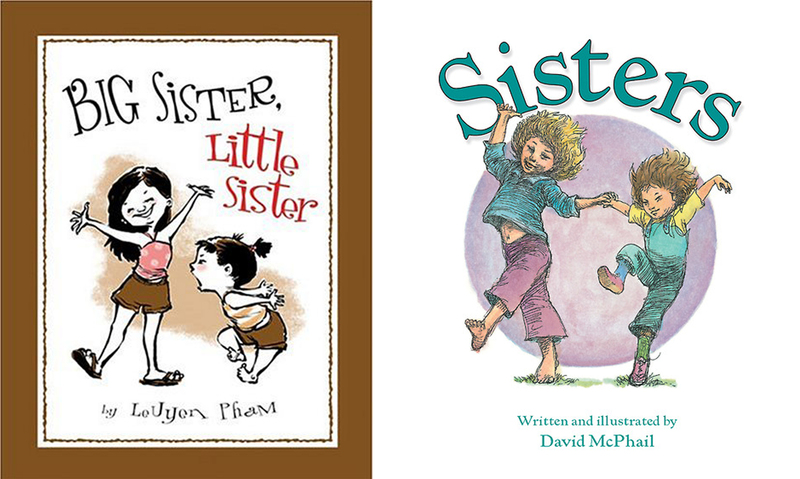 Two of our other favorites are “Big Sister, Little Sister,” by Leuyen Pham, and “Sisters,” by David McPhail. If only all older sisters could be repaid for their pain and suffering this way! 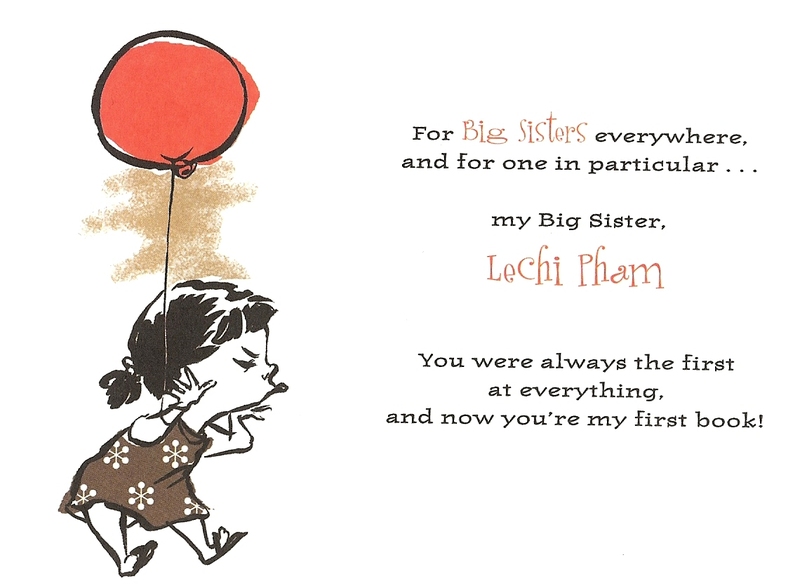 Whereas Khan’s book, “Big Red Lollipop,” was written from the perspective of the oldest sister, “Big Sister, Little Sister” looks at the ups and downs of sisterhood from the younger point of view. It seems younger siblings are a less popular selection for narrators in the children’s book world, which is what makes this book particularly valuable, giving the overlooked younger sister a voice. Pham’s Little Sister feels as though she’s always trying to catch up to Big Sister and bemoans her second-hand clothes and earlier bedtime. Many of the stereotypical differences between big sisters and little sisters also are played out. 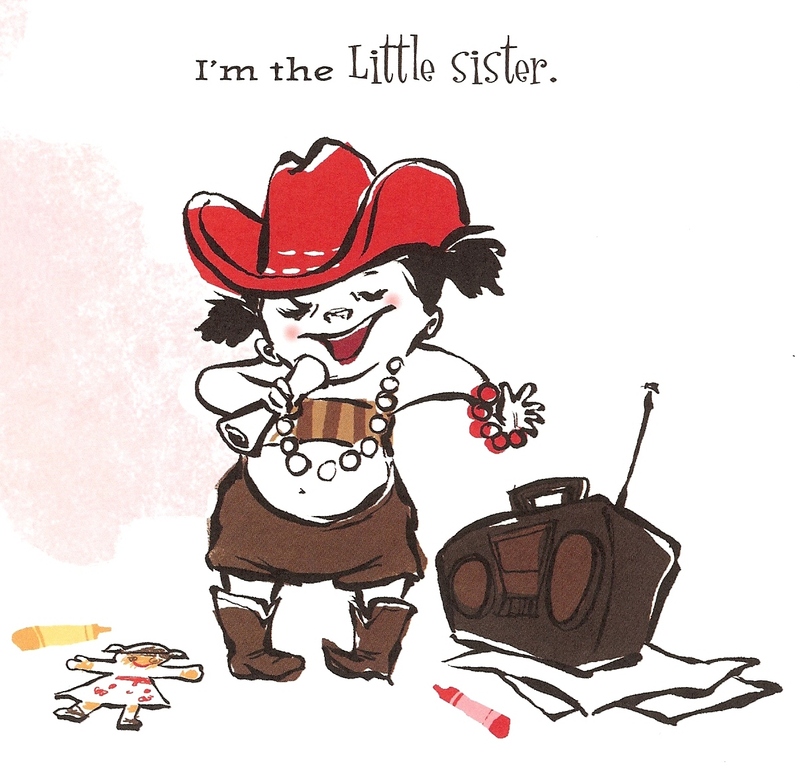 Big Sister is poised, tidy and responsible, while Little Sister is a wild risk-taker with a tendency toward tantrums. 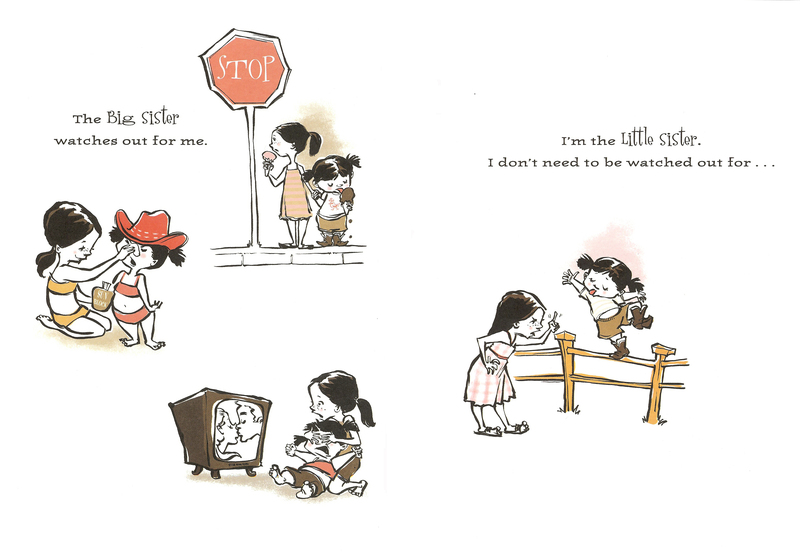 Although Big Sister is often proven right in this book (as an oldest sister, myself, I can attest this is usually the case), Little Sister is given her due credit. It turns out that little siblings have talents of their own and might just know a thing or two that their older siblings don’t. What I think I enjoy most about this book, however, is the consistent companionship and friendship of these sisters. 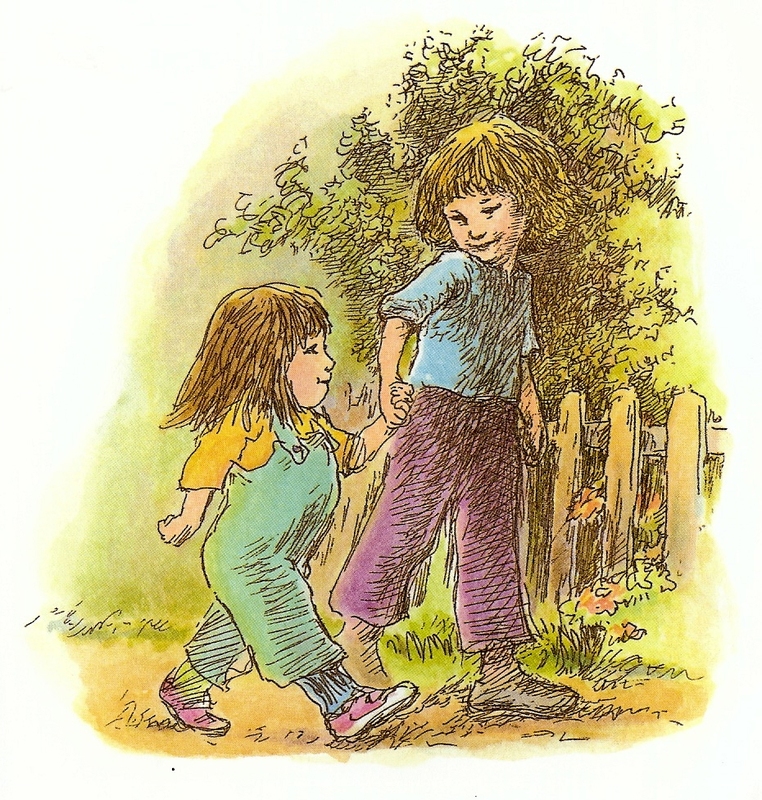 Oftentimes, children’s books about siblings emphasize conflict or depict an older sibling’s attempts to ditch the younger sibling. 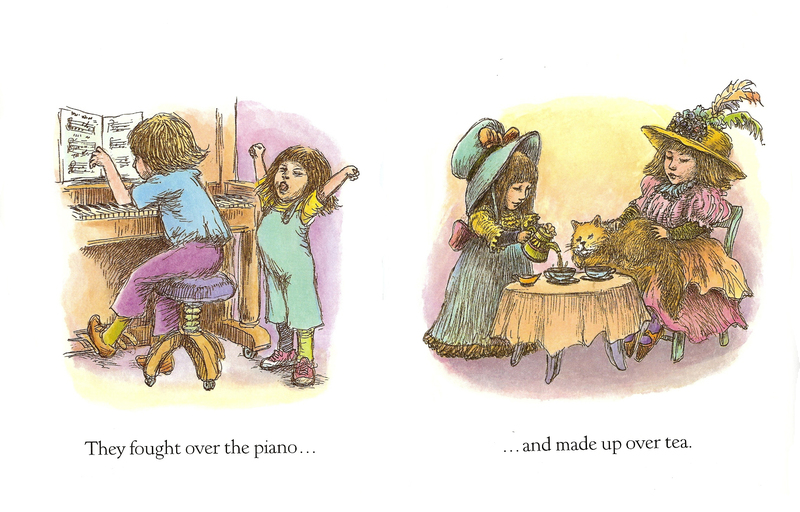 But despite the difference in their ages, Big Sister and Little Sister are shown together reading books, baking, riding bikes, rollerskating, dancing and making music. Pham also emphasize Big Sister’s patient willingness to teach and look out for Little Sister. Big Sister comes to the rescue when Little Sister can’t sleep, keeps her safe while crossing the street, ensures sunscreen has been properly applied and tends to her when she falls and bonks her head. Boasting the talents of both author and illustrator, Pham’s unique palette of pink, browns and a splash of red makes “Big Sister, Little Sister” a visual standout on the shelves. 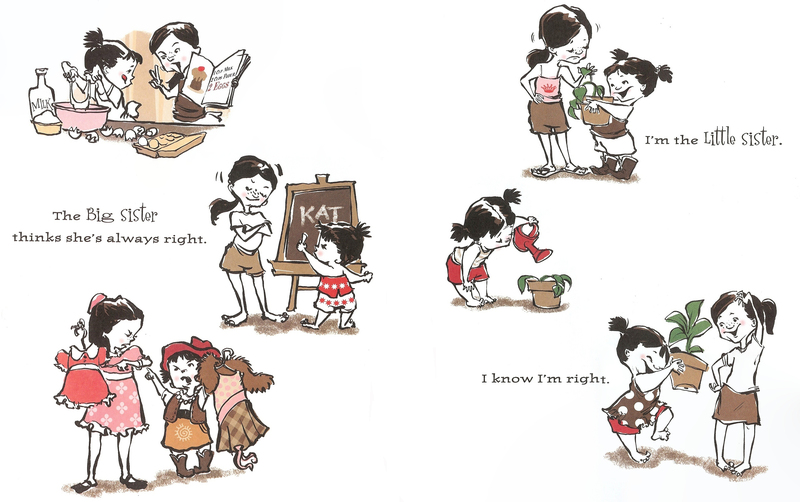 Her Japanese brush-and-ink illustrations are energetic, and her Big Sister and Little Sister are irresistibly cute. Much like “Big Sister, Little Sister,” this book describes the ways in which two sisters are different but also the ways in which they are alike. 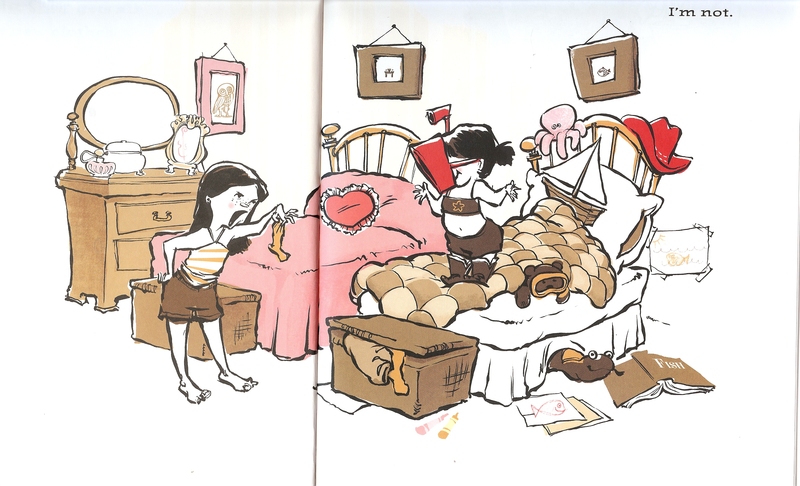 Although the format is somewhat formulaic, the very specific personality quirks and preferences McPhail attributes to each of these girls makes the book more endearing and relatable. As almost any mother can attest, conflicting food preferences are one of the cruelest forms of torture parenthood has to offer. If one child is excited about burgers for dinner, the others are nearly guaranteed to be moaning in protest. For nearly a year, we fought the battle of grilled cheese vs. peanut butter sandwiches for lunch and chicken nuggets vs. macaroni and cheese for dinner (tears were almost always involved). And I can’t claim I was any different as a child; many nights, my mom was forced to cook both chicken nuggets and two different kinds of macaroni and cheese – I demanded Kraft, while my twin sisters were divided over the nuggets and Velveeta Shells and Cheese. McPhail’s sisters also have opposing interests on the topics of footwear, baseball, frogs and sleep routines. 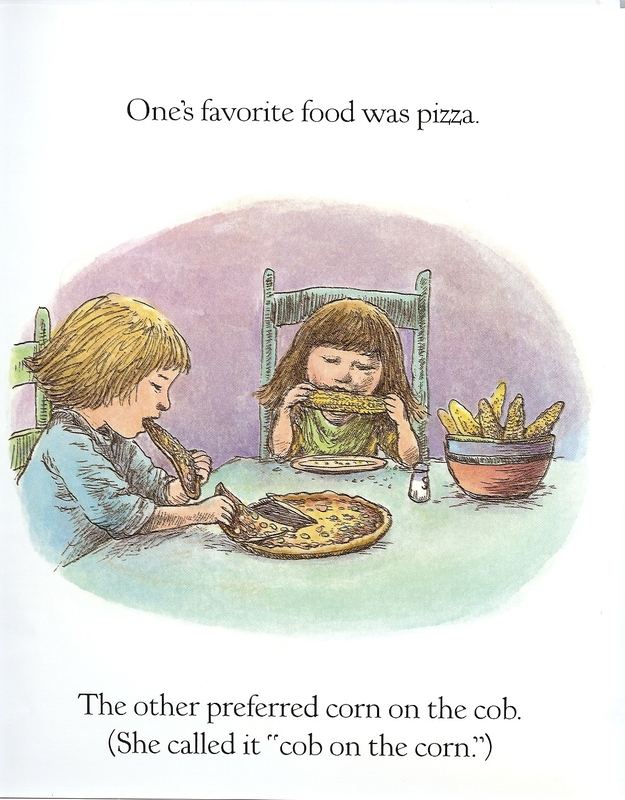 Although these unique preferences likely were inspired by those of the author’s daughters (he dedicated the book to his two biological daughters and two step daughters), they represent a truth that, regardless of shared genetic material, we may have more in common with complete strangers than our own siblings. But the book also illustrates that, in spite these differences, the bonds of sisterhood are solidified for a lifetime by common experiences and shared memories. The sisters connect while picking sugar-snap peas from the garden, baking cookies together in the kitchen, playing in puddles on a rainy afternoon and jumping in leaf piles during the fall. 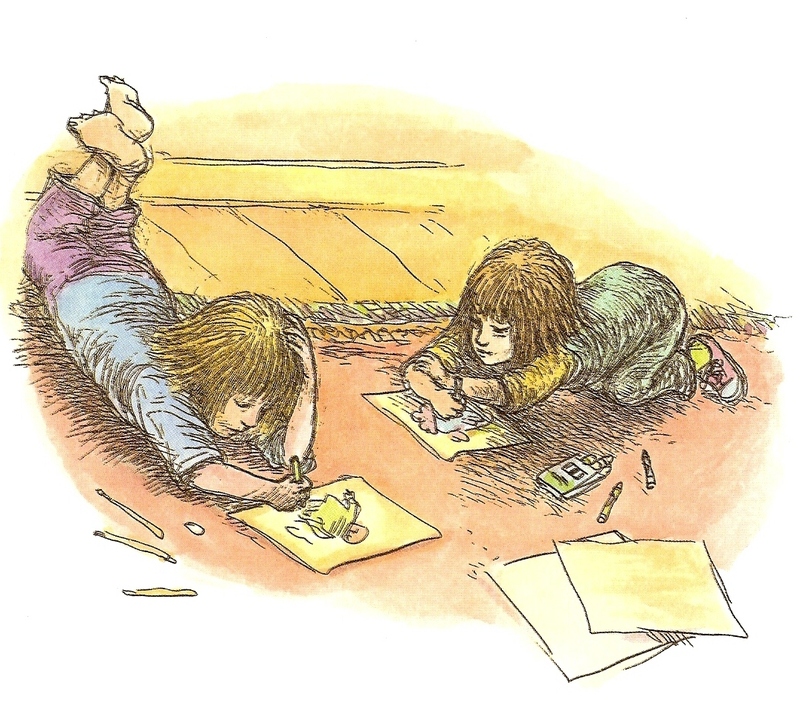 Rendered in a pen-and-ink style I associate with books from the era of my childhood, each of these images powerfully remind me of days spent with my own sisters. We picked mulberries at my grandparents, had the chocolate chip cookie dough recipe memorized and collected buckets of rain when it showered on summer days.